Senior-level real estate executives require a variety of information to better execute their strategies and conduct their business. From deals to data, trends to strategic tales, Commercial Property Executive and Multi-Housing News make it easy to access everything that’s needed to close deals and maintain a successful business. And our digital platforms offer a variety of access points, including magazines, newsletters, video, webinars, slideshows and more! Align your brand with the brightest minds in the industry. Each month, we interview a noteworthy executive who achieved success despite difficult obstacles. These inside stories into the trials and tribulations of both industry names and up-and-comers offer readers valuable insights and strategy ideas. Webinar sponsorship offers innovative and cost-effective solutions for disseminating information, demonstrating thought leadership, promoting new products and services, and more. Including a custom registration helps to identify your best new business prospects. Designed specifically for investors who are looking for timely market intelligence and drawing on respected proprietary research, Yardi Matrix produces in-depth analysis of the multifamily market at both the national and metro-specific level throughout the year. The growing array of products also includes metro-specific office reports, national trend reports on other property sectors, and interactive webinars. Increase your company’s share-of-mind with efficient, targeted reach. Daily News Briefs: Headlines from both MHN and CPE, keeping readers up-to-date on the industry’s breaking news. 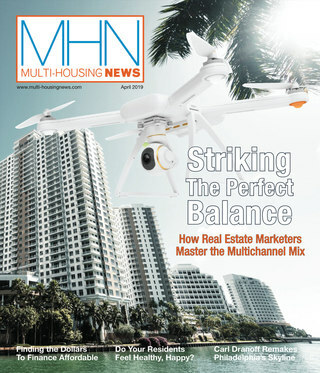 MHN Finance & Investment Newsletter: Transaction focused, offering news, insights and analysis into multifamily deals and how they’re being financed. 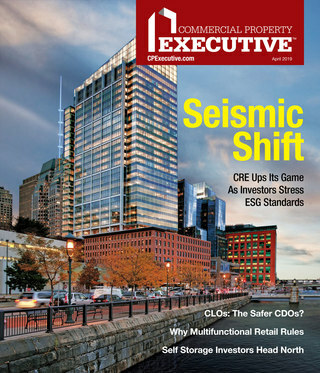 Commercial Property News: CPE and MHN partner on this special newsletter for small and emerging owners and managers of the commercial and multifamily industry. Includes the news, Q&As and analysis they particularly need. The Energy Report: Coming soon from CPE, a special monthly focus on energy-specific topics, players and products. CPE and MHN host multiple awards programs, including MHN’s longstanding Excellence Awards and CPE’s well-respected Distinguished Achievement Awards. The juried Excellence Awards and Distinguished Achievement Awards culminate in an awards ceremony and cocktail reception that attracts top-level executives. Sponsorship aligns your brand with excellence and provides in-person access to major movers and shakers in the industry.